Maggie Cheung Man-yuk (Chinese: 張曼玉; born 20 September 1964) is a Hong Kong actress. Raised in Britain and Hong Kong, she has over 80 films to her credit since starting her career in 1983. Some of her most commercially successful works were in the action genre, but Cheung once said in an interview that of all the work she has done, the films that really meant something to her are Song of Exile, Centre Stage, Comrades: Almost a Love Story and In the Mood for Love. As Emily Wang in Clean, her last starring role to date, she became the first Asian actress to win a prize at the Cannes Film Festival. 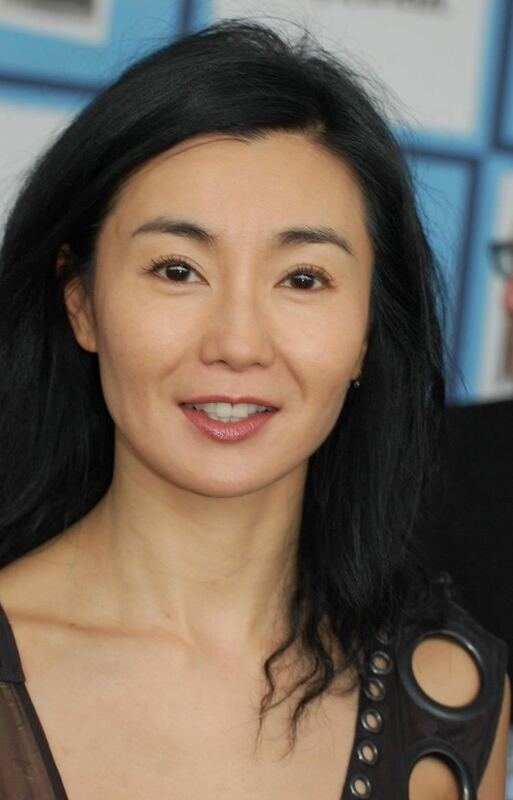 Maggie Cheung was born in Hong Kong in 1964 to Shanghainese parents. She attended St. Paul's Convent School, where she began at the primary one level. Her family emigrated from Hong Kong to the United Kingdom when she was eight. She spent part of her childhood and adolescence in Bromley, Kent, England. She returned to Hong Kong at the age of 18 in 1982 for a vacation but ended up staying for modeling assignments and other commitments. She also shortly obtained a sales job at Lane Crawford department store. In 1983, Cheung entered the Miss Hong Kong pageant and won the first runner-up and the Miss Photogenic award as well. She was a semi-finalist in the Miss World pageant the same year. After two years as a TV presenter, it led to a contract with TVB (the television arm of the Shaw Bros. Studio). Cheung is a polyglot as a result of her upbringing in Hong Kong and England and ten years' stay in Paris. In Centre Stage, Cheung performed in Cantonese, Mandarin and Shanghainese fluently, switching languages with ease. In Clean, she performed in fluent English, French and Cantonese. Soon after her debut, Cheung broke into the film industry, starring in vapid comedies. She caught the attention of Jackie Chan, who cast her in Police Story (1985) as May, his long-suffering girlfriend. The film was a huge hit and made Cheung a star overnight. Despite her success, Cheung found herself typecast in the roles of comics or weak, clumsy women. Realizing this, Cheung wanted to break away by seeking more dramatic roles. She got this opportunity when Wong Kar-wai cast her in As Tears Go By (1988), her first of many collaborations with Wong. Cheung often cite the film as the piece that truly began her serious acting career, and she won critical praise for it. 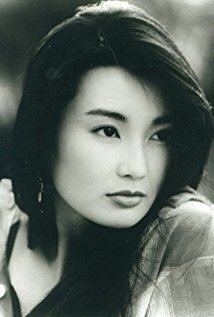 In 1989, she won Best Actress awards at the Golden Horse Award and Hong Kong Film Award for her work in Full Moon in New York and A Fishy Story respectively. In 1991, she became the first Chinese performer to win a Best Actress Award at the prestigious Berlin Film Festival for her work in Centre Stage. Cheung subsequently proved her versatility with roles in action films. Her performance in sci-fi martial arts smash hit The Heroic Trio (1992) and its' sequel Executioners (1993) impressed both critics and audiences with her martial arts skills. Also in a departure from her usual roles, Cheung played a beautiful and vicious femme fatale in New Dragon Gate Inn (1992). After taking a break in 1994, Cheung returned to film Olivier Assayas' Irma Vep (1996), which helped her break into the international scene. That same year, she won further acclaim for her work in the romantic film Comrades, Almost a Love Story, in which she played one of a pair of lovers kept apart for ten years by fate and circumstance. The following year, she made her first English-language film in Wayne Wang's Chinese Box (1997). Cast as a mysterious young woman named Jean, Cheung held her own against the more internationally well-established Irons and Gong. After her marriage with Oliver, Cheung stayed mainly in France. She returned to Hong Kong to film In the Mood for Love (2000), which won critical acclaim and a second Taiwanese Golden Horse award for Cheung. Thereafter, she starred in Zhang Yimou's Hero (2002) and Wong's 2046 (2004). She won the Best Actress award at the Cannes Film Festival for her role as a mother who tries to kick her drug habit and reconcile with her long-lost son in Clean (2004). Cheung was a jury member at the 1997 Berlin Film Festival, the 1999 Venice Film Festival, the 2004 Hawaii International Film Festival, the 2007 Cannes Film Festival, and the 2010 Marrakech International Film Festival. And for the first time in its history, the 59th Cannes Film Festival (2006) used a photographic image of a real actress on its poster — that of Cheung. On 7 February 2007, The New York Times rated Maggie Cheung as one of the 22 Great Performers in 2006 for her Cannes winning role as Emily in Clean. After 25 years of making movies, she decided to retire from acting to pursue a career as a film composer. She had mentioned she would like to compose music and paint after having fulfilled her acting potential. Her most recent film appearance was as Mazu, Chinese goddess of the sea, in the film Ten Thousand Waves (2010) by British filmmaker and installation artist Isaac Julien. As UK's Independent puts it, since her Cannes moment in 2004, Cheung "turned her back on film" and has shifted her focus to philanthropy, making music, and editing. In April 2010, Cheung was appointed as UNICEF's Ambassador to China. In July 2011, she was awarded a doctor honoris causa at the University of Edinburgh. Cheung married French director Olivier Assayas in 1998. They divorced in 2001.